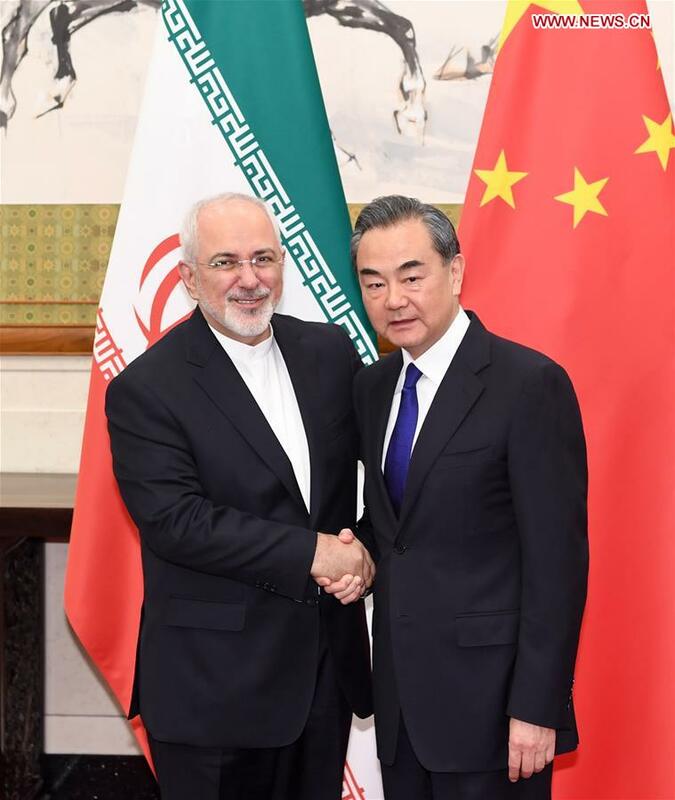 BEIJING, May 13 (Xinhua) -- Chinese State Councilor and Foreign Minister Wang Yi held talks with Iranian Foreign Minister Mohammad Javad Zarif in Beijing on Sunday. "China will take an objective, fair and responsible attitude, keep communication and cooperation with all parties concerned, and continue to work to maintain the deal," Wang said. The Iranian foreign minister spoke highly of China's stance on maintaining the JCPOA and stressed Iran is willing to keep communication and cooperation with the parties who still support the deal.